This tutorial is a simple editing exercise to illustrate the use of the photo-editing oriented tools. 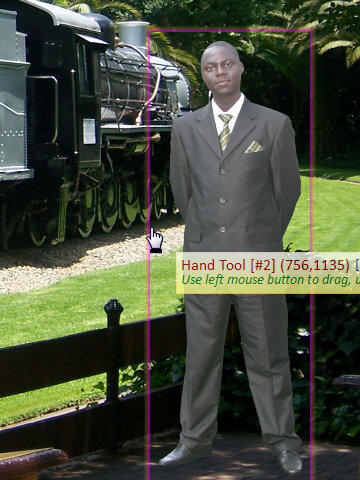 It is meant to familiarize the user with the basics of photo-editing and the use of layers and paths. Before we can start putting together our masterpiece, we need to find a set of images to work with. We also need to decide what we want to do with them. For this tutorial, I have elected to use a photo of myself and a few backgrounds. I'll cut myself out of one photo and place the cut out in the others, working to make the result look as realistic as possible. The goal of this exercise is to fool the eye; so much so that a third party who sees the final work will not be able to tell it's a fake. Looks hard, doesn't it? It's actually very easy, as you'll see. To load the images, drag-drop each image onto Chasys Draw IES and choose Yes when asked whether to import as layers. Alternatively, you can use File > Open to load the background, then use Layers > Import from File for each extra image. Next, you need to prepare the images for use. To do this, you'll need to perform some balancing of things like color, light, contrast, etc, but we won't get into that right now. You also need to make sure the images are of the correct size, which is to say neither too large nor too small. Larger images are easier to cut out and give better results but also consume more RAM and are more difficult to manipulate, so it's sort of a balancing act. 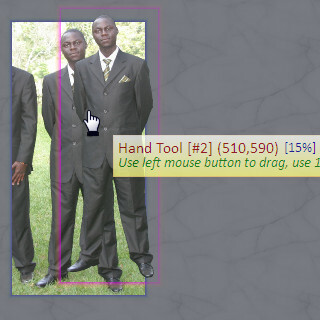 The cropping tool has three handles that the user can manipulate. 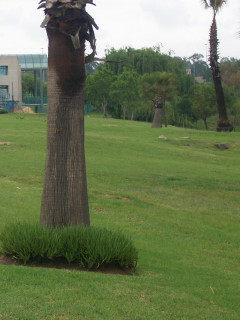 The first handle (centered) adjusts the center of the cropped image. The second and third adjust the width and height respectively, and either can adjust the rotation angle. Do you remember this line in the license agreement? "The author will bear no responsibility for any inappropriate, defamatory or illegal works created using this software..." It applies here. If you draw something funny and it gets you in trouble, you are on your own. Some users may find trouble doing this. 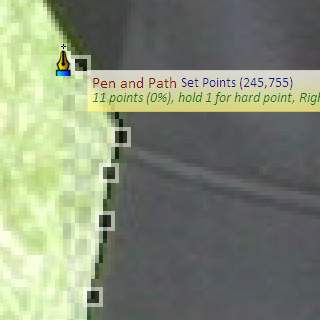 Remember, we are using curves; left-click to set points and right-click to end the selection. You may find it easier to cut when the image is zoom to 200% or 400% (remember to turn off the Smooth Image When Zoomed option under the View menu so you can see the pixels). Once you are done, go to the menu, and select the Cut to Layer option as shown above. You'll be left with a floating cut-out like the one illustrated below. This cut-out can now be pasted onto any background of our choice. What I basically did here was to make the image darker, to match the relatively dark background (note the color of the suit). In photographic terms, we can say I reduced the image's exposure. 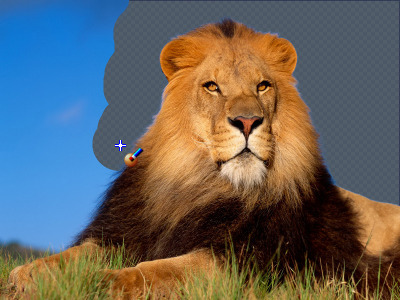 If you want to do this in a non-destructive way, you can do so by using an adjustment layer – just right-click the layer, select Adjustments, then select Attach Adjustment Layer. In the adjustment layer properties window, select Curves then adjust. Let's start with the bush. 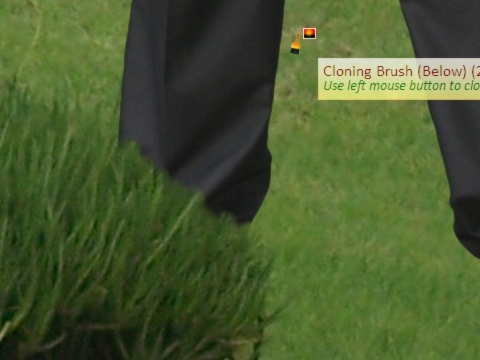 For this task, we will use the Cloning Brush . 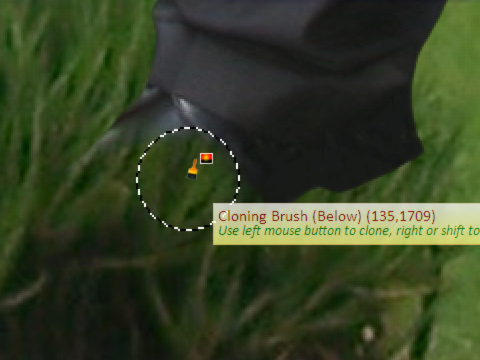 The cloning brush is a photo-correction tool that copies pixels from one area of an image to another using a fixed offset. 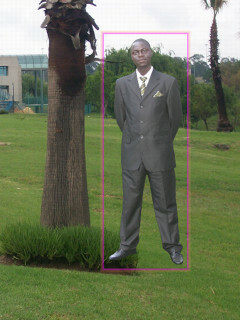 The cloning brush is an editing and photo-correction tool that paints one part of an image over another part of the same image or another image in the same document using a user-defined fixed offset. It thus enables you duplicate objects by copying them to other parts of the image or to remove defects by patching them over with unaffected parts. Holding down the left mouse button clones; right-clicking with the mouse (or left-clicking while holding the Shift key) sets the cloning offset (source point). 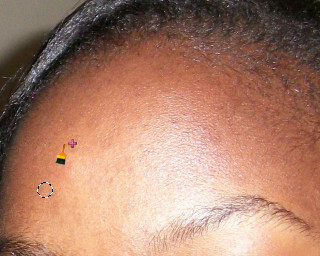 A related tool, the Healing Brush, is a photo-correction tool that is purpose-built for removing (or "healing") blemishes in photos (including natural ones like pimples or stray hairs) without losing the harmony and flow of the original. Unlike the Cloning Tool, which simply copies pixels from another area of the image to the area being modified, the Healing Brush attempts to match the copied pixels to the coloring and the lighting of the destination area to produce a more realistic result. Holding down the left mouse button heals; right-clicking with the mouse (or left-clicking while holding the Shift key) sets the healing offset (source point). 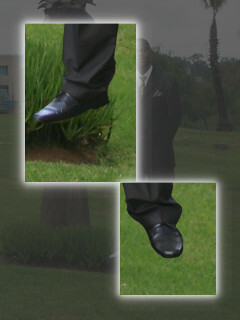 What we want to do is to copy the bush from behind the subject's foot to the front of the said foot. 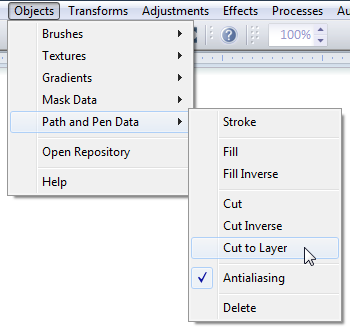 With the cutout set as the active layer, we select the clone tool and choose the second option (below). 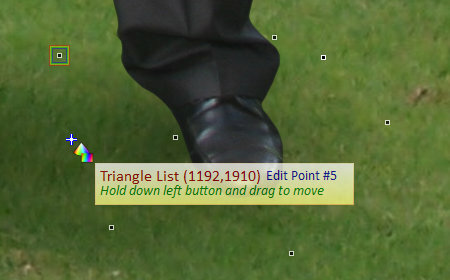 We then hold and release the right mouse button without moving it to set the reference point to the same point as the clicked point. Set this way, the clone tool will select the corresponding pixel from the layer below the one we are working with. 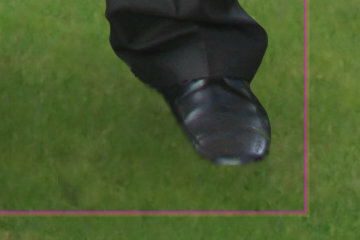 You may also choose to do the same with the grass covering the other foot to make the results more convincing, but this should be done after adding shadows (the next step). By careful selection of what to clone where, you can create a pattern of overlaps that give the image a very realistic level of depth and harmony. Remember, details count - blades of grass, loose branches, flies... put these in front of items as necessary and you are good to go. 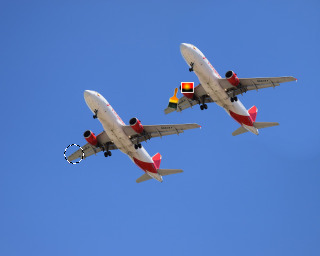 If your objects don't have shadows, they'll seem to float above the rest of the image. It is therefore very important that you add shadows, where relevant, to each object that you insert into an image. The goal of this task is to overcome the challenge of proper shadowing. 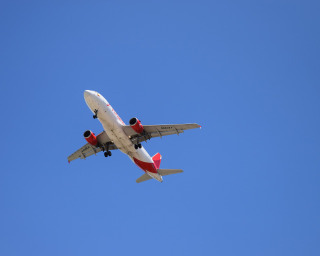 Before you perform this exercise, examine the image you have to determine what kinds of shadows (if any) the objects already present in the image have. There are very many ways to do shadows. The first (and perhaps most complex) method you can use involves the Triangle List . 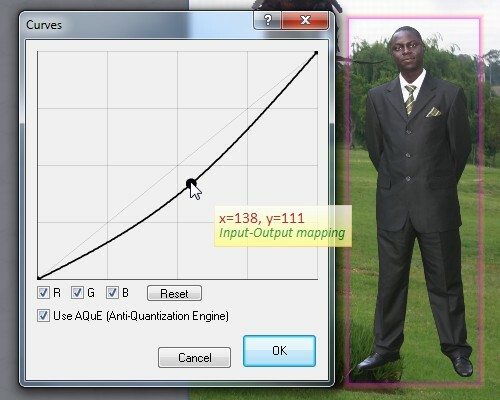 This tool can be used to draw accurate shadow volumes quite easily, once you get the hang of using it. 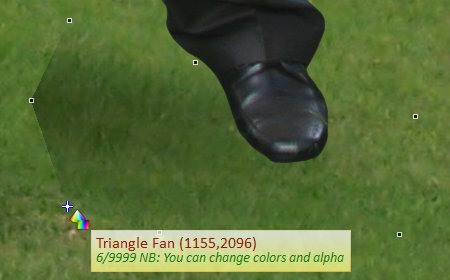 Triangles form the basis of all 3D graphics today, be it your 3D game or 3D modeling application. You can use triangle strips and triangle fans to specify an entire surface without having to provide all three vertices for each of the triangles. For example, only seven vertices are required to define the following triangle fan (and strip). The graphics engine uses vertices 1, 2, and 3 to draw the first triangle; vertices 2, 4, and 3 to draw the second triangle; vertices 3, 4, and 5 to draw the third; vertices 4, 6, and 5 to draw the fourth; and so on. Notice that the vertices of the second and fourth triangles are out of order. This is required to make sure that all of the triangles are drawn in a clockwise orientation. In other words, draw in a zigzag manner, up and down along the line of reference. One more thing - shadows are cast in the direction opposite the source of the light casting the shadow. If the shadows in the image don't point where they are supposed to, the image will look unnatural. Don't go putting shadows in the wrong direction! Just remember that the smoke effect brush is a bit sensitive, so keep its level below 10. 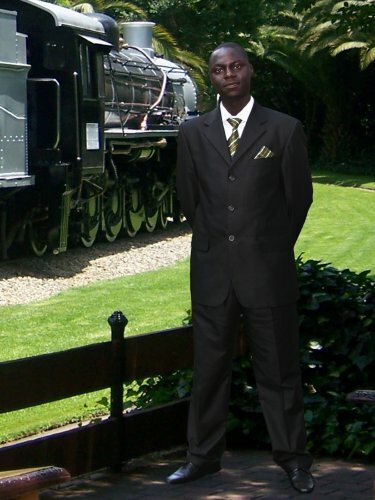 Make sure you don't overdo it, otherwise people will notice, and you won't earn yourself a lot of respect as an image editor - image editors are known to be very keen and careful people, you know. Quick, short strokes and a low fx-Level are the key to doing this right. The shadows need to match the lighting of the scene; be it diffuse (which gives gradual, spread-out, almost undetectable shadows) or point (which gives sharp, dark shadows). The beauty of editing with layers is that you can always go back and change a layer without touching anything else. 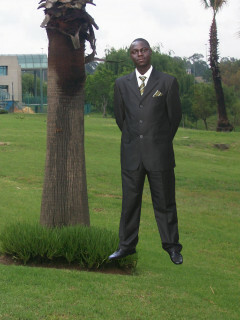 If we wish to, we can always reuse our cutout with another background. When editing photos, the devil is always in the light. Try getting the lighting right from the start.